Having fun dressing our Baker's rack. The Glitter Queen of Hearts is queen of this rack. I must have a thing for high heels, because they seem to be in almost every room...I am definitely a girly girl. Red goblets compliment the Mikasa Parchment Red dishware. The silver cake stands are always great for desserts, flowers and more. I found them at Safeway. This Glitter Queen of Hearts is on sale right now at Pier 1. Mikasa Parchment Red. They are on sale right now at Mikasa. 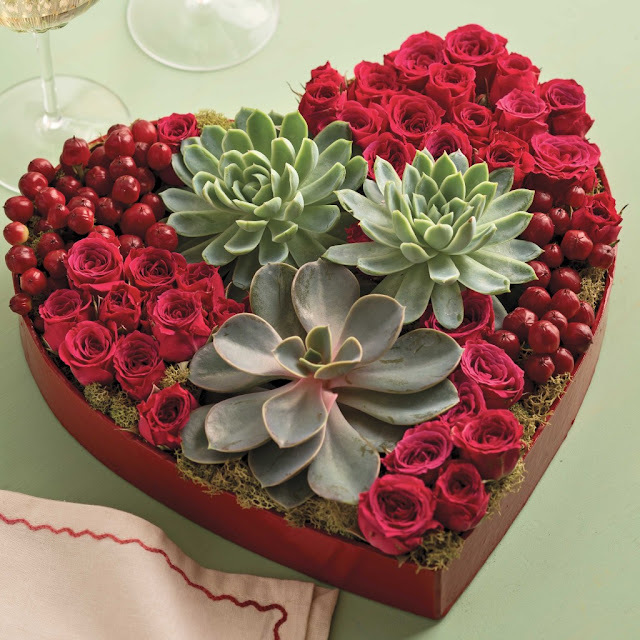 Here's a few ideas for Valentine arrangements. Gotta love the red shoe floral arrangement. Don't forget to get creative with those pretty valentine boxes we keep. Love this idea with the cactus and roses. I think using those pretty boxes for cupcakes, cookies, and more would make a nice gift or presentation. Happy Monday. Hi Eddie, welcome back. Thanks for your visit. I hope you find a sweet lady. Love your bakers rack chock full of Valentine gorgeousness!! I may have to run over to Pier 1 for a Queen of Hearts! Have a great week, Linda. Thank you Katie. I hope you find your Glitter Queen of Hearts. You will love it! Hi Linda, thanks for sharing your valentine's collections and arrangements. So inspiring to me. 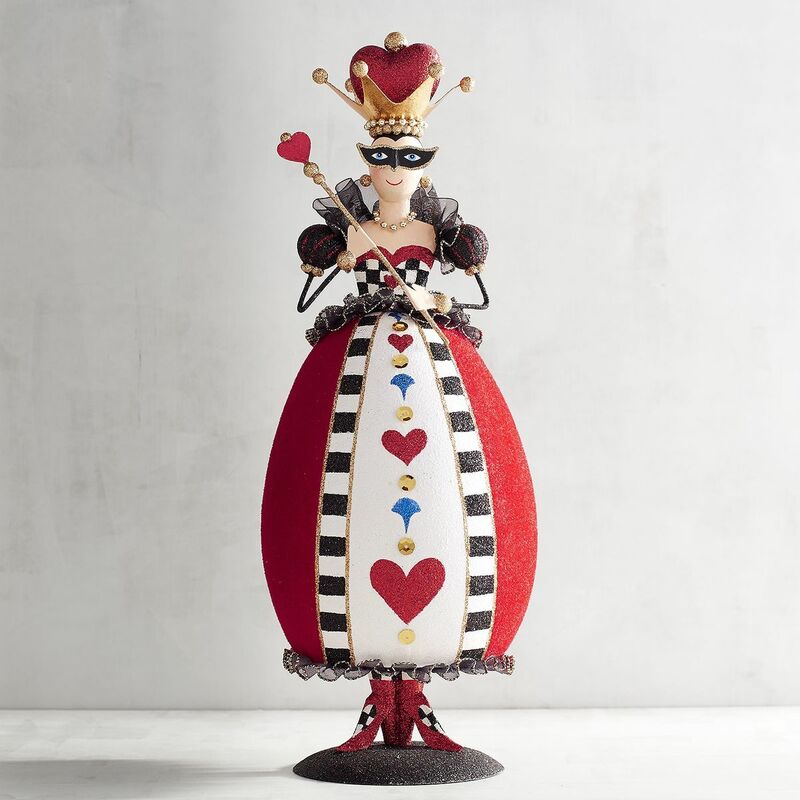 Love the Queen of Hearts from Pier 1, adorable! Your bakers rack looks awesome, Linda! I never thought of using my Mikasa Parchment on mine. I love all your samples, too! Thank you Rett. You should get out your Mikasa Parchment and create a pretty table or vignette. What darling finds and I am in love with the Queen of Hearts! Perfect way to start the week here in Texas, with a visit to you! Hi Jemma, thank you for your sweet visit. I did fall in love with the Glitter Queen of hearts. There is also a King of Hearts....LOL Enjoy your week. 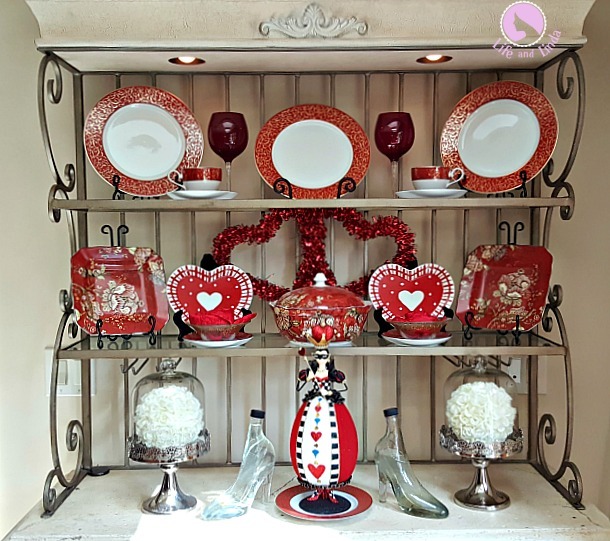 Your Baker's Rack is beautiful, with the Queen of Hearts! 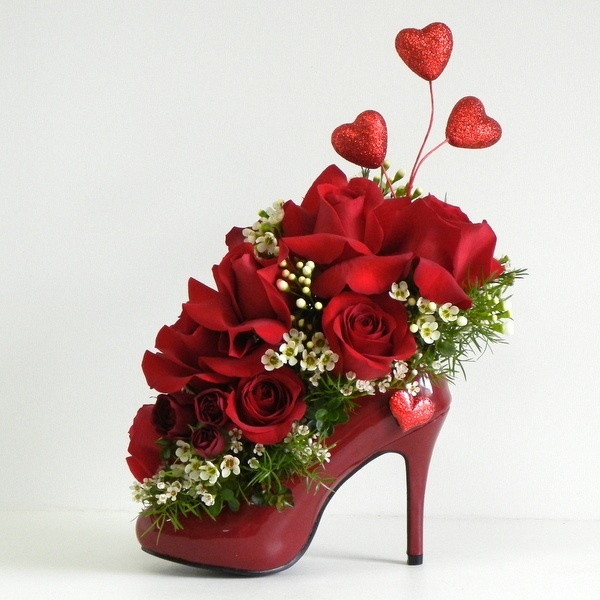 I love the Red High Heel Floral Arrangement. Thanks so much Jan. That high heel floral arrangement is so fabulous! Love the red shoe floral arrangement! Oh, if only I were talented! Hello Martha Ellen, I hope you buy the pretty queen. It's on sale now, so it's a good buy. Happy February. I love that Baker's rack- you always do a great job with decorating it. Your Valentine's arrangement is so cute. 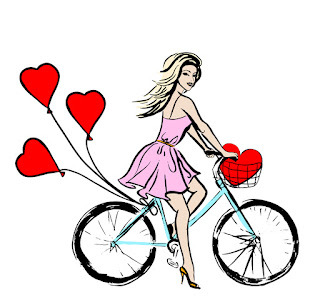 Love your Queen of Hearts- she's so cute! Where have I seen that before? Hehehe! 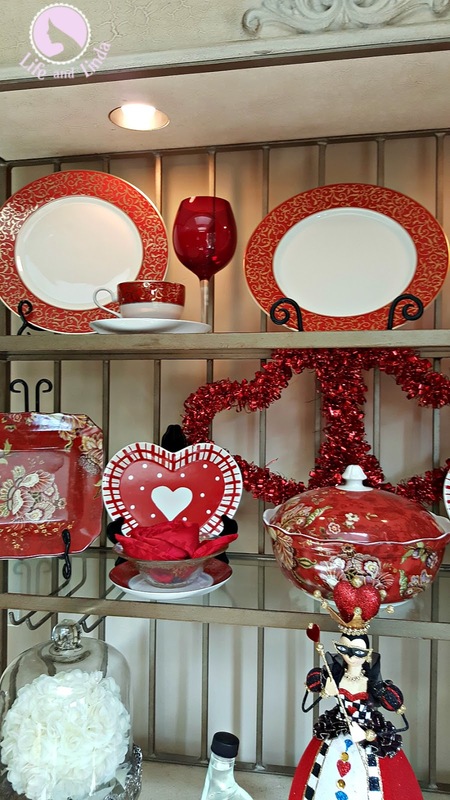 The Mikasa dishes are beautiful and perfect for Valentine's Day. Love all the arrangements- that candy box one is really unique! Liz, you are so funny. Yes, you have the King and Queen of hearts and have created some beautiful tablescapes and more. Linda, your baker's rack looks beautiful adorned for Valentine's Day. I love all the gorgeous red color. 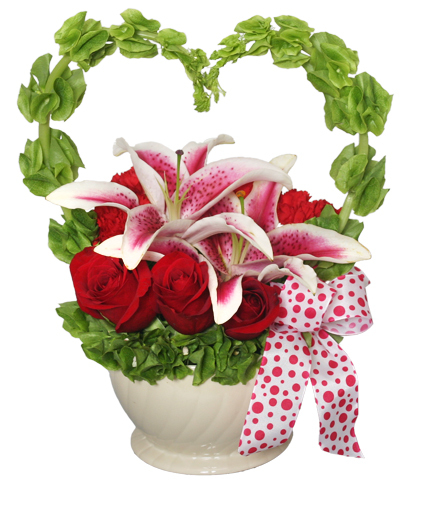 Thanks for all the wonderful Valentine floral arrangement ideas...so pretty! I hope that you have a wonderful week! 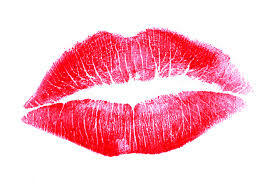 Hi there Shannon, Isn't red the color of love? I love how you shopped your own home for a pretty Valentine vignette. 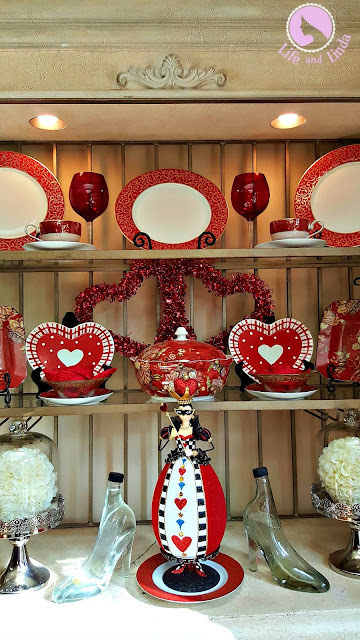 Hi Linda, I love how you decorated your bakers rack for Valentine's Day! You have share also some great ideas too. I love the candy box with succulents. A pleasure to link up with you Julie. Thanks for your visit. I do love that high heel and the valentine succulents. this is such a beautiful Valentines Decor! You always do such great jobs with all those lovely decorations! thank oyu for your so kind words about my knitted gloves :O) Yes, I sell them , it is so much fun to do those knittings! 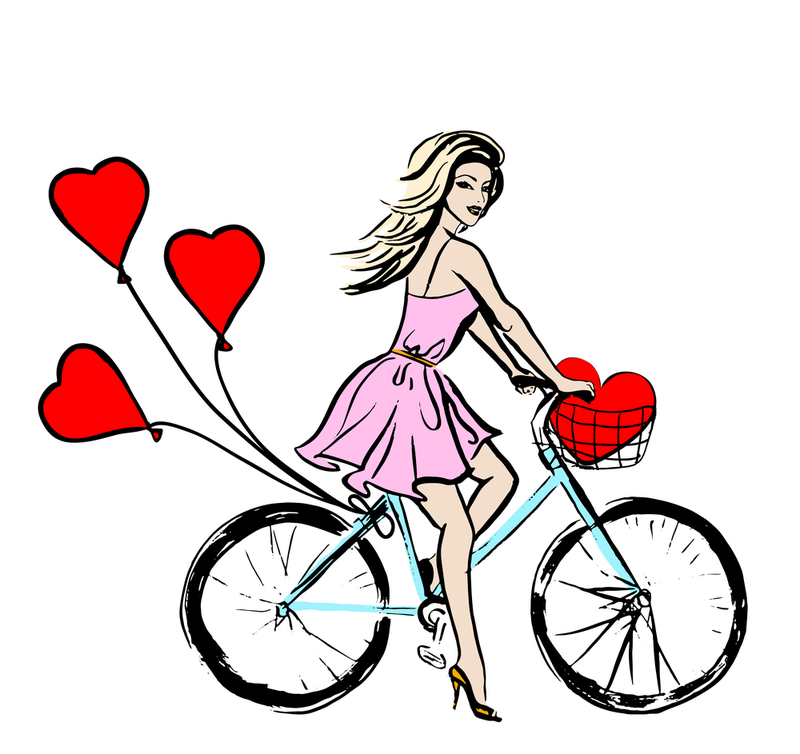 Definitely a girly girl…love the baker's rack. I love love your glitter queen of hearts Linda! Your bakers rack looks so pretty. Your china is stunning and the queen of hearts so cute. Looks we like the same source ideas.